© 2011 ahmad. All rights reserved. 5 Jun Filed under Advocacy, Critical Speculation. Tagged 1948, counter-mapping, design, israel, maps, masterplan, palestine, refugees, return, sedek, workshop, zochrot. Bookmark the permalink. Post a comment. Leave a Trackback (URL). Following the events of May 15th, grassroots activists and community organisations have chosen June 5th – Naksa Day, the anniversary commemorating the displacement of thousands of Palestinians during the 1967 War – as an occasion for further mobilisation towards actively asserting the Palestinan right to return. In the context of our recent feature, we wanted to support this momentum by further considering the implications and challenges of realising Al-Awda (‘the return’). Last summer Zochrot organised a workshop bringing together Palestinian and Jewish citizens of Israel with the aim of confronting the practical and pragmatic implications of planning return, taking the village of Miska as a case-study. The first instalment from issue no. 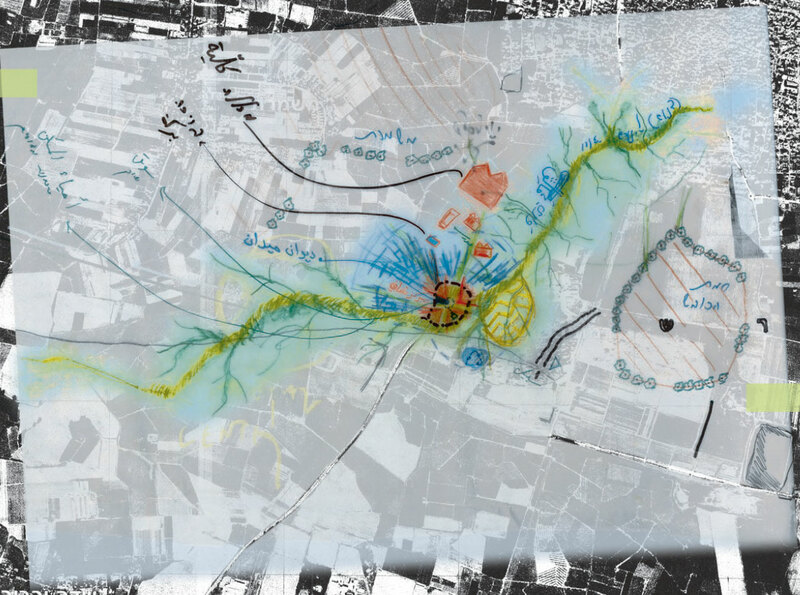 6 of Sedek, A Journal on the Ongoing Nakba, entitled ‘Counter-Mapping Return’, explains the processes, methodologies and assumptions in this exploratory initiative. It is doubtful whether there has ever been an idea in the modern history of Israel and Palestine whose consideration of the feasibility and development of possibilities has been so rejected and neglected as that of the idea of the return of the Palestinian refugees. Israel’s denial since the end of the 1948 war of the Palestinian refugees’ right to return home has focused public attention about the refugees on the right of return, thereby banishing the development of all political vision and practice from the public debate. Sedek 6 is a challenge to this negation, which has effectively imposed a freeze on the return of the Palestinian refugees as a practical possibility. Sedek 6 provides a tri-lingual textual and visual platform for initial experiences in thinking – political, visionary, and planning – toward the return of the Palestinian refugees. يبدو أنه لا يوجد في التاريخ الحديث لإسرائيل وفلسطين، فكرة واجه التفكير حول تحقيقها وتطوير الإمكانيات الكامنة فيها، الرفض والإهمال كما واجهت فكرة عودة اللاجئين الفلسطينيين. إن الإنكار الإسرائيلي لحق اللاجئين الفلسطينيين بالعودة إلى بيوتهم، منذ نهاية حرب 1948 وحتى يومنا هذا، ركّز كل نشاط جماهيري حول عودة اللاجئين بمجرد الجدل حول الحق، وأبعد كل تطويرٍ للرؤى والآليات السياسية إلى خارج النقاش الجماهيري. ספק אם היה רעיון בתולדות ההיסטוריה המודרנית של ישראל ופלסטין שהחשיבה אודות התאפשרותו ופיתוח האפשרויות אשר גלומות בו נדחו ונזנחו כמו רעיון שיבת הפליטים הפלסטינים. שלילה ישראלית של זכותם של הפליטים הפלסטינים לשוב אל בתיהם, עם תום מלחמת 1948 ועד היום, מיקדה כל עיסוק ציבורי בשיבת הפליטים הפלסטינים בפולמוס אודות הזכות, ודחקה כל פיתוח של חזונות ופרקטיקות פוליטיות אל מחוץ לדיון הציבורי. The workshop purposefully addressed the local level and a particular site, the village of Miska, in an attempt to concretise what return would mean on the ground, thus moving beyond the ingrained reactions of fear and disbelief associated with the return of refugees within mainstream Israeli society. 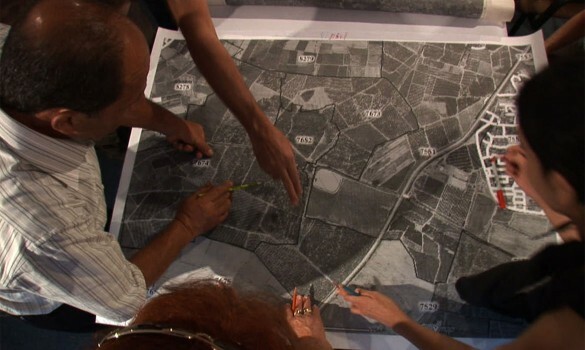 Through the production of counter-maps, as a means to articulate shared space and alternative realities from those presented in the ‘official’ maps, the workshop represents the beginnings of transforming imagined geographies into reality. Through arenaofspeculation.org, we would like to encourage an open discourse that engages with these concepts, and also on a broader level. We are beginning to work with a range of individuals and organisations supporting the Palestinian right to return, including Zochrot and others, to define a collective project for imagining Al-Awda (‘the return’) in its many dimensions. If you would like to contribute, or to find out more, please get in touch at info [at] arenaofspeculation.org.